One of the amazing discoveries of our journey to New Zealand, was the poetry of James K. Baxter. 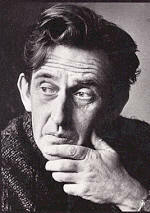 Sadly this wonderful poet is little known outside New Zealand where he was born in 1926 and where he died in 1972. One of Baxter’s poems that particularly touched us was his early poem “Poem by the Clock Tower, Sumner.” Baxter was only twenty-two years old when he wrote this stirring piece of poetry. 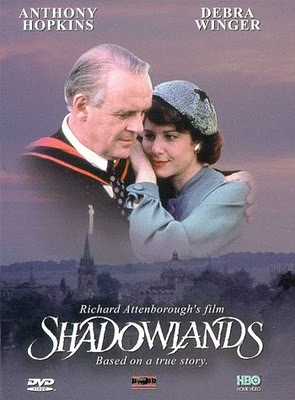 Recently, Heather and I watched the movie “Shadowlands,” directed by Richard Attenborough. I am sure we saw it in the theatre when it first came out in 1993. But I had forgotten what a profound and touching film it is. “Shadowlands” tells the story of the relationship between the American poet Joy Davidman and the British writer C.S. Lewis. They met in 1952; she was thirty-seven years old, he was fifty-four. In the “Shadowlands” version of the story Lewis (played brilliantly by Anthony Hopkins) is portrayed as a stiff, remote, self-contained academic. He has organized his world so that he never has to deal intimately with the unpredictable complexity of people. No one has access to his heart, until the brash and brilliant Joy Davidman comes crashing into his life. After two years of friendship, they come together in a marriage of convenience in order to enable Davidman to remain in Britain. But, when it is discovered that she has cancer, Lewis is no longer able to contain his feelings and a deep loving relationship develops between them until Joy’s death in 1960. Heather and I have been away for twenty-four days. We have been traveling in an exotic foreign country basking in unusually early summer weather. Religion is in trouble around the world, but particularly in Canada. One of the most profound and touching aspects of our recent visit to New Zealand was the attitude we experienced toward its indigenous peoples. Everywhere we travelled we encountered what appear to be sincere and profound attempts to respect and incorporate aspects of Maori culture into predominantly European New Zealand. No doubt these efforts have met with varying degrees of success and there is still a long way to go. But the determination to value the Maori presence provides a hopeful model for the rest of the world community. I woke up this morning with lists and agendas tumbling in my head. Twenty-four days away from the parish, with Sunday looming and Christmas just around the corner, means there are things to do. I needed to get to the church and get busy ticking off the list of my important tasks. There had been talk last night of more snow, but I knew it could not be true. Our snow-worthy car was doing service elsewhere, leaving us with four bald tires and no way to safely navigate on snowy roads. I pulled back the curtains to find three centimeters of fresh white stuff covering the ground and more still falling. What is to be done about all my important plans? How will I make sure everything is ready for the coming week? Arrived safely home this evening. It is minus four celsius; there is significant snow on the ground and more predicted to fall tonight. By the time we got to our house after a lovely family dinner with Rachel and the Koopmans, it was completely dark at the same time as last night we were sitting outside on Pip’s deck feeling the sun on our faces. Home is a bit of a shock. The contrast with having been away is startling. I am siting on the back porch at the home where we have been staying in Wellington. I can hear the ocean across the street at the front of the house. Birds are singing in the lush bush that covers the hillside a block away. There is a light breeze but the sun is beautifully warm. Early this morning I ran for an hour along the waterfront to the beach across from the point where Thomas Merton’s Aunt was drowned in the Wahinee boat disaster of April 10, 1968. Right to the very end, New Zealand continues to offer unusual and exciting experiences. For as long as I can remember I have had a recurring nightmare in which I find myself inside a tiny room containing only a toilet and a sink. There are no windows and there is no way out either under or over the only door that permits access to this small closet. The lock on the door is broken. I am locked in. Today we fly back to Wellington where tomorrow I will give a burnout workshop. Then Wednesday we board the plane for our trip back to Victoria. Naomi sent pictures yesterday of her girls bundled up in their snowsuits playing in the snow at home. It is hard to imagine, as we watch people here swimming in the ocean, that we are returning on Wednesday to freezing temperatures, dark evenings, and the possibility of white stuff on the ground. The distance between home and this lovely land we have been privileged to visit seems immense.